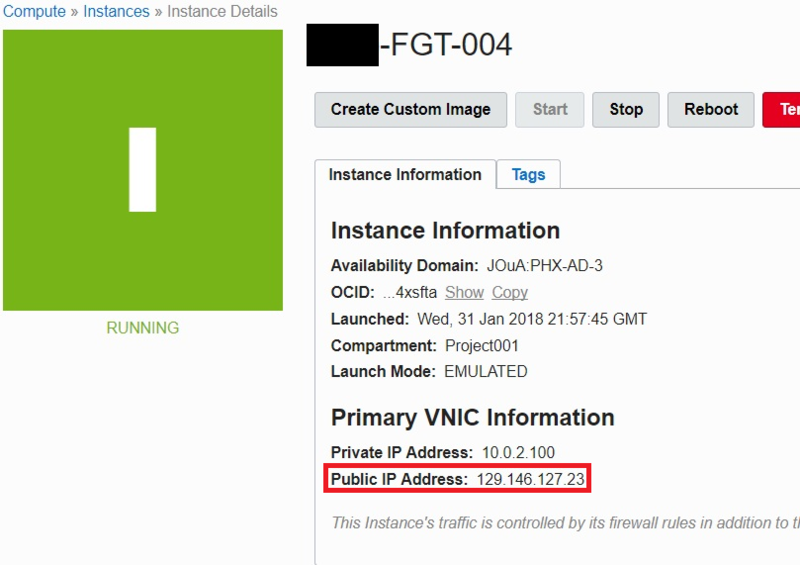 In the FortiGate instance, find the public IP address. Your IP address will be different than the example screenshot. In a browser, navigate to https://<public_IP_address>. The default username is "opc" for FortiOS 5.6.x, 6.0.0, and 6.0.1, and "admin" for FortiOS 6.0.2 and later versions for new installations. For upgrades (such as from FortiOS 6.0.1 to 6.0.2), the exiting opc user is kept. The default password is the OCID. You can find the OCID as shown below. Once logged in, FortiOS prompts for a license file. Licenses can be obtained through any Fortinet partner. If you don't have a partner, contact Fortinet for assistance in purchasing a license. After you purchase a license or obtain an evaluation license (60-day term), you will receive a PDF with an activation code. Go to Customer Service & Support and create a new account or log in with an existing account. If you added a license by following the instructions in (Optional) Bootstrapping FortiGate on the OCI GUI at initial boot-up, the system displays the dashboard instead of a license upload window, since the license is already activated. Go to Asset > Register/Renew to start the registration process. In the Specify Registration Code field, enter your license activation code and select Next to continue registering the product. Enter your details in the other fields. At the end of the registration process, download the license (.lic) file to your computer. You will upload this license to activate the FortiGate. After registering a license, Fortinet servers may take 30-45 minutes to fully recognize the new license. When you upload the license (.lic) file to activate the FortiGate, if you get an error that the license is invalid, wait 30 minutes and try again. You should now be able to see the FortiGate GUI console. 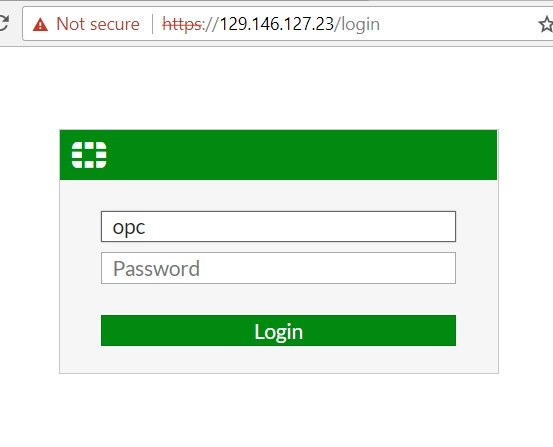 If you followed the instructions in (Optional) Bootstrapping FortiGate on the OCI GUI at initial boot-up, you can check if the command was successfully. Open the CLI console and enter diag debug cloudinit show. 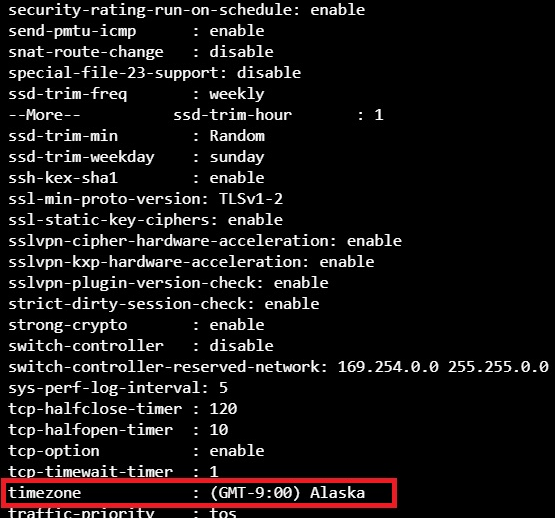 If the cloud-init was run successfully, the CLI shows Finish running script with no errors.